We’ve had a snowy winter so far, so let’s work together to fend off any holiday blues. There is a whole week left until the big day. How are you feeling? Stressed? Overwhelmed? Excited? Full of joy? Hopefully you are having a good time and connecting with loved ones right now. The kids are almost out of school for a few weeks, so now is a good time to finish up any lingering holiday shopping. And with time being a premium right now, why drive all over in this weather? La Grange has so much to offer, why not stay close to home? In addition to having great shops and being close to home, you have got to know about the added bonus for staying home for the holidays this year–the La Grange Business Association is rewarding La Grange holiday shoppers for money well-spent. Between now and New Year’s Eve, be sure to save your receipts. As soon as you have spent $300 on gifts, gift cards, and services with three different local businesses, you may qualify for $50 worth of gift certificates from the LGBA. This is for the first 100 shoppers. If you don’t make it into that first 100, don’t worry, you can still enter a Hometown Holiday drawing. So save those receipts, apply online, and look for more complete information on the LGBA website. One of the best things about living in the La Grange, IL area has got to be the unique local businesses! They are so good, in fact, that our village was just highlighted on WGN TV! And there’s no need to head to the crowded mega-stores. Park for free downtown and find the gifts you still need. For the kids and the book lovers, don’t miss Anderson’s Bookshops. And be sure to pick up one of their event calendars–it’s chock-full of fun things for the kids, including a Grinch Hunt and a wrap up party. The wrap-up party is conveniently after Christmas, when the kids are coming down and getting bored. Want something interesting or unusual? La Grange businesses have you covered. At Vintage Charm, they even promise to help all ages find the right outfit for any event and a “cute cheeky gift,” as well. And for lovely, thoughtful gifts for the home, local couple Scott and Heidi have created Whisper Me Home, where they create many of their artful offerings from found objects. And they’ll also teach you how to create some of your own in their after-hours workshops! And for a chance as some really unusual finds, visit the Jackson Square Antique Mall–voted the #1 Best of the West Antique Shop by Western Suburban Living. What better testimonial can you get? And for those who like to drink their Christmas cheer, La Grange is home to two great shops featuring both wine and beer. Vino e Birra definitely has an Italian feel to it. Warm and inviting, stop by for free wine tastings on Friday and Saturday evenings, and then pick the perfect gift. Even better, if you need to think about it when you are more clear-headed, they will even deliver! 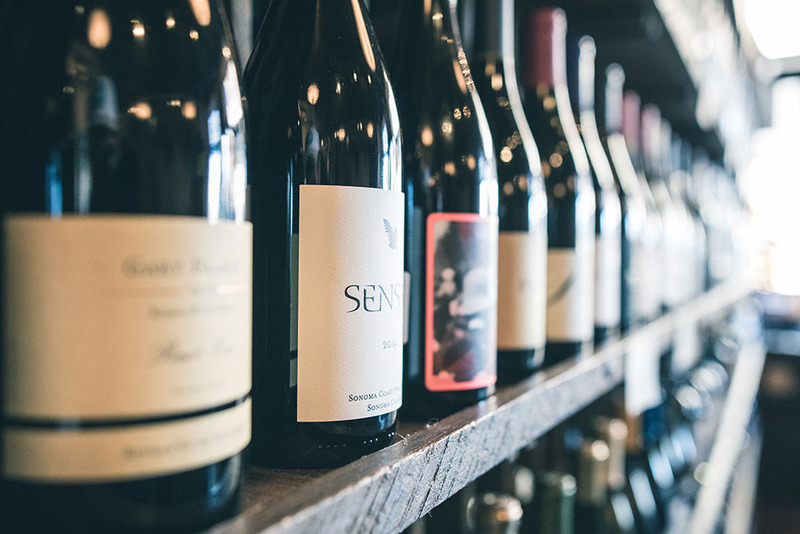 And at Cork Keg & Spirits, you will find over 100 wines under $20 from around the world as well as just about every type of beer you can think of (and some you can’t even imagine) from countries with the best craftsmanship. And don’t forget about the spirits. Pick up some Midori, some vodka, and some cranberry juice for red and green martinis at your holiday party. The shops mentioned above are only the tip of the iceberg (pun intended) this winter in La Grange. Once you are out and about, you will find plenty of other shops that will appeal to you and jump start ideas for creative holiday gifts. You have permission to gift yourself, too (treat yourself to a spa service at one of the many spots in La Grange). And once you have those gift certificates from the LGBA, you can pick up anything you wished for but did not find under the tree this year. So finish up that shopping, so you can enjoy the days leading up to the big day relaxing and enjoying the people around you. Merry Christmas!